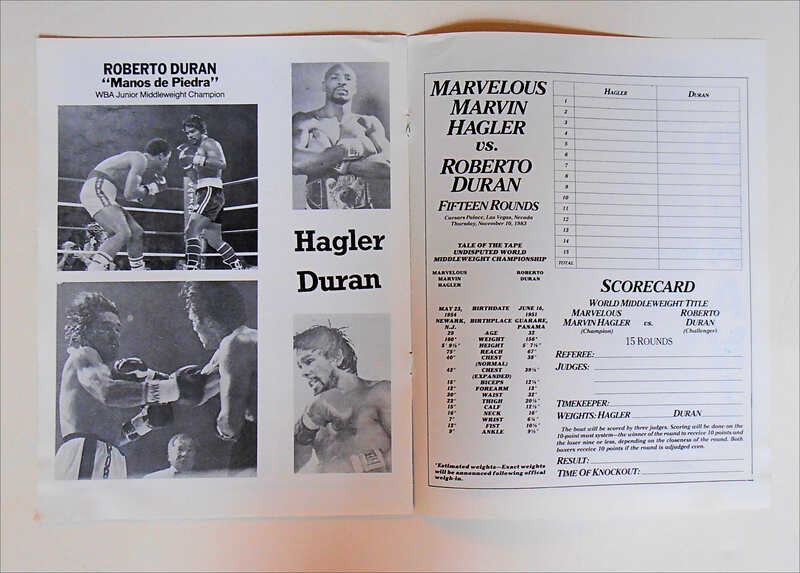 Description : Here we have the 6 page American closed circuit venue souvenir fight program for the 1983 Mega-Fight. 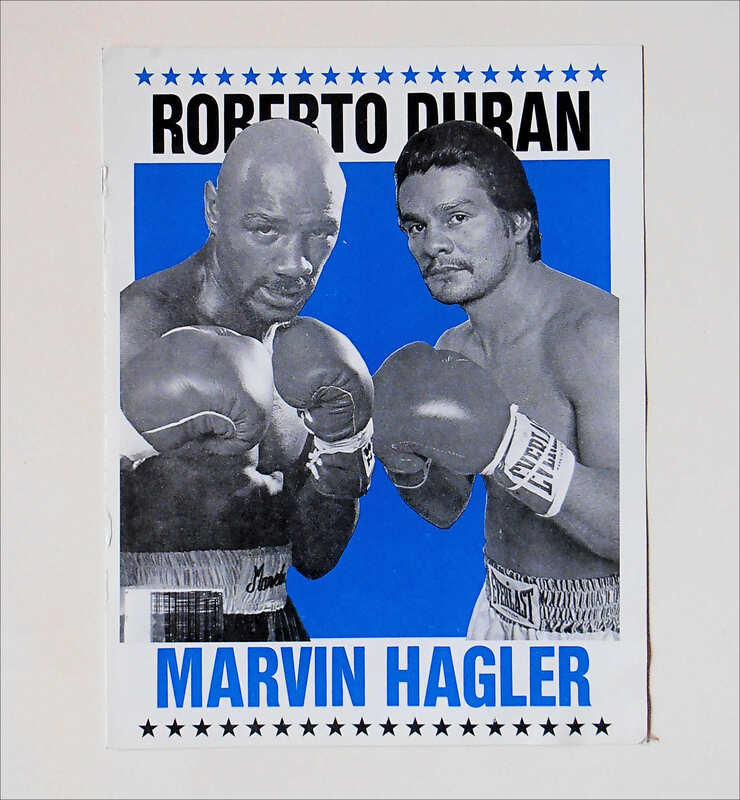 Durán was the first challenger to last the distance with Hagler in a world-championship bout. Durán was the WBA Light Middleweight Champion and went up in weight to challenge for Hagler's middleweight crown. 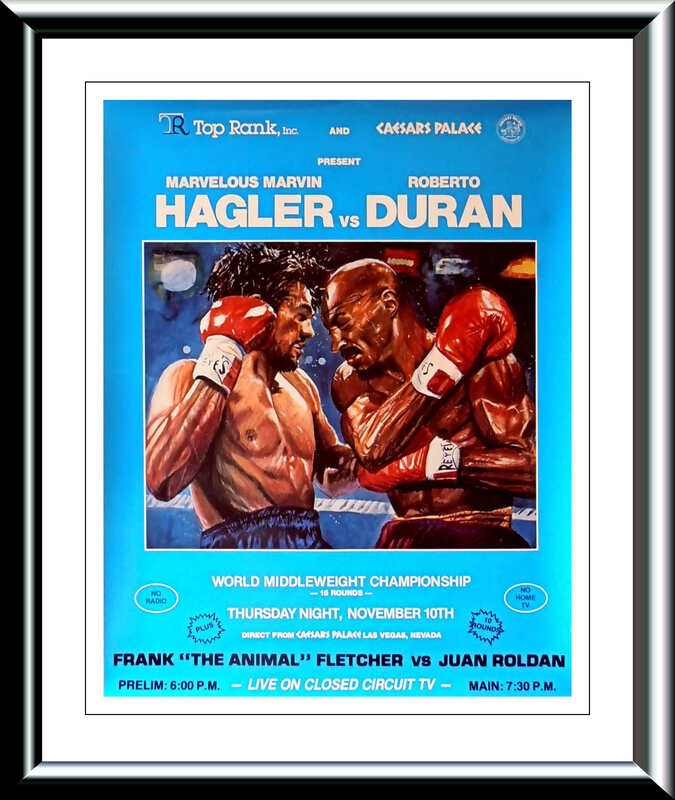 Hagler won a unanimous 15-round decision, although after 12 rounds two of the judges had Durán ahead in a tough contest. Hagler fought tenaciously over the final three rounds to squek a unanimous decision over the Panamanian legend. The next day the boxing scribes around the world used the headline...Hagler won the Fight! Duran won the night!